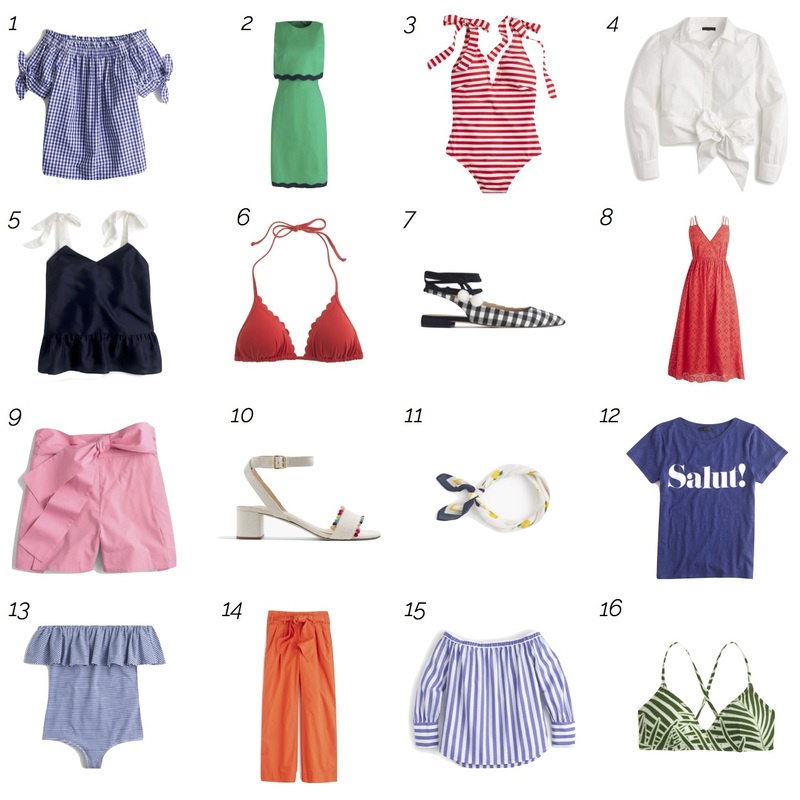 J.Crew never fails to inspire me to renew and refresh my spring/summer wardrobe and remind me to put some much-needed color back in my outfits. A few weeks back I picked up this off-the-shoulder top (now extra 40% off!) and just recently wore it for the first time and received a slew of compliments. Their new arrivals don't disappoint either - I'm eyeing so many of them. Between gingham, stripes, and lace, I have a sense my closet is going to get a lot more whimsical this season...although can you really ever have too much navy?? 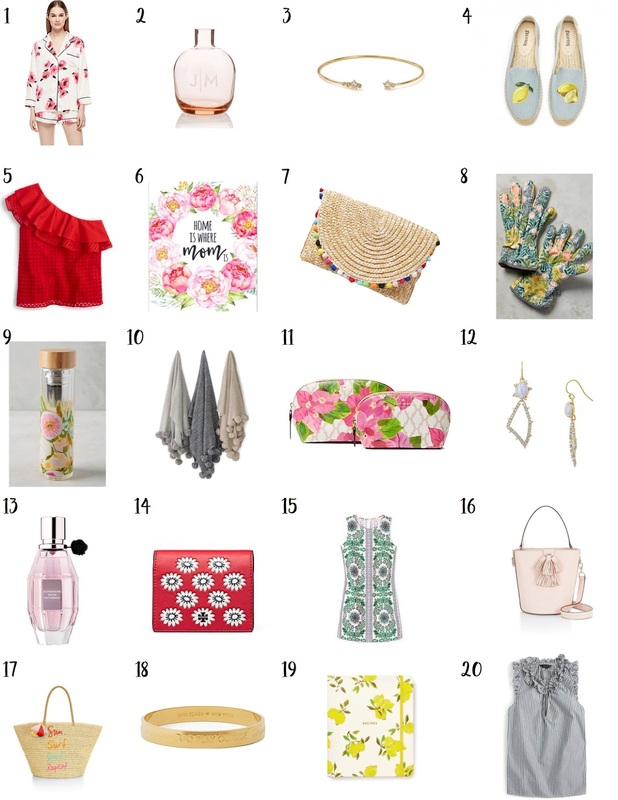 (see previous J.Crew purchase ;) Here's what's catching my eye, and don't forget everything is 25% off through April 23 with code HOPTOIT! The first half of the adage "April showers bring May flowers" is definitely holding true here in PA. Now we can only hope the second half does as well! All this rain has me feeling inspired to find a new and improved rain coat, especially one with a longer length so it works with leggings and keeps my legs dry. I currently have an older version of this jacket, and though I always get compliments on the coral color, I'm really digging yellow rain coats these days à la Curious George. 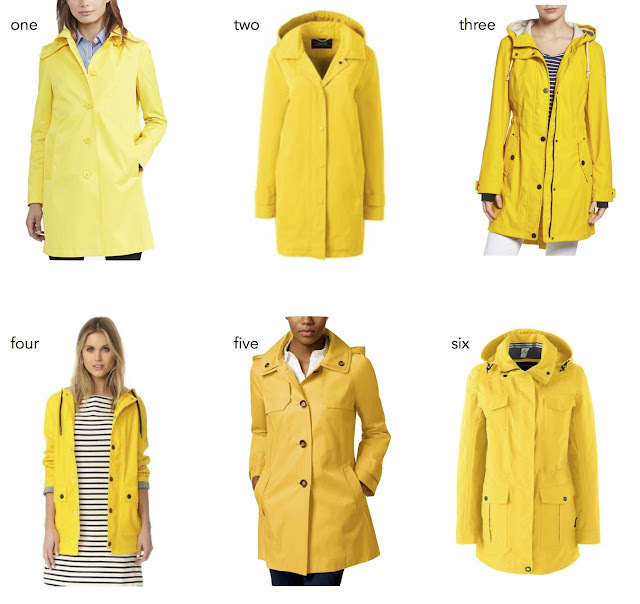 After perusing some of my go-to sites, I found the following coats...now to decide which I like best! Happy April! I have no idea how the months are flying by so quickly, but somehow I have less than a month of classes left and graduation is nearing. I've had a bunch of people reach out and ask where to find graduation dresses, so I figured I'd make a post with some of my favorites that I've spotted throughout my search! I also highly recommend using Rent the Runway - I have a few favorites saved on there that I'm thinking about. And you can get a free back-up size from them so you don't have to stress over whether the dress will fit or not. Below I've rounded up some of my favorite traditional white graduation dresses across various price points. I'm thinking I may also do a post of non-white dresses as well...I know I'm looking at all colors as of now and maybe you are too!